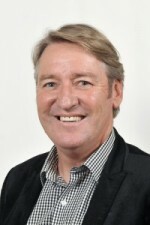 Director Garry Bishop has over 28 years experience in the Property industry. Garry’s industry knowledge and experience puts him at the head of the game when it comes to assessing your business needs. Director Kingsley Brown brings to the team several years experience in the medical industry as a property manager of a successful medical centre in Fremantle. The experienced gained during this time has provided Kingsley with the necessary tools to seek out the right dental practices. Health Practice Brokers are here to assist you whether or looking to sell your Dental Practice or buy a pre-existing one. We conduct an in depth market assessment of your business needs regardless of how big or small. We pride ourselves on our exceptional customer service and flexibility to ensure we can help you at a time that suits you. Our mission is to ensure you can get back to what you do best, while we do the legwork for you and save you some much needed time to focus on the setting up of your business. Contact Garry Bishop or Kingsley Brown to arrange an up to date market assessment of your business needs. Andrew Maurice is an experienced small business management professional having worked as a business advisor and trainer to small businesses in a wide range of industries in Western Australia for the past 19 years. Andrew has successfully helped many professional services businesses with advice on preparing a business for sale as well as providing guidance on selling and purchasing businesses. He holds an MBA from the Curtin Graduate School of Business, a Cert IV in Property Services and is a registered Business Sales representative. Very Satisfied with Garry’s performance! We had a unique heritage listed property for sale in which we operated our dental surgery from. After several failed attempts at selling the commercial business, we approached Garry Bishop to help us in just closing the business and selling the real estate separately. Not only did Garry sell the real estate, but the purchaser was a Dentist who also purchased our long established Dental practice. Thank you Garry! Garry was understanding of our needs and processed the marketing and sale of our property in a very professional manner. At all times we felt that we were dealing with a friend and not a real estate agent! We have no hesitation in recommending Garry Bishop, and will certainly be using Gary for all our future real estate needs.